The Brushy Creek Trail and Conservation Corridor was originally planned for 8 miles, but due to it's initial success and enthusiasm generated by the first section of the trail, a vision of a 30 mile trail is now reasonably foreseen. 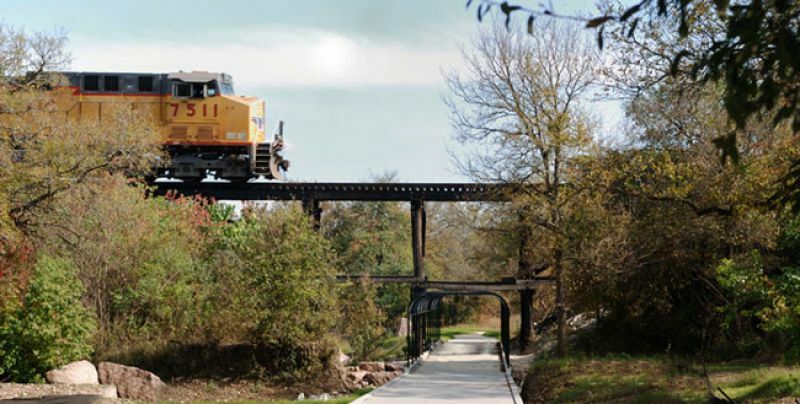 The trail which connects with parks along it's route paralleling Brushy Creek, offers users many diverse versions of Texas hill country open space. A 2.5 mile segment completed in December of 2002 through a cooperative effort of the cities of Austin, Cedar Park, Round Rock, the Brushy Creek and Fern Bluff Municipal Utility Districts and several private landowners coordinated by Willliamson County. Cedar Park will complete a 1/2 mile section in November 2003, which will give us a total of 3 miles of trail. The entities are continuing to work together on the next trail phase to provide a safe and versatile recreation area as well as an alternate means of transporation.